Up to 80% off winter designer kidswear-prices start at $10! 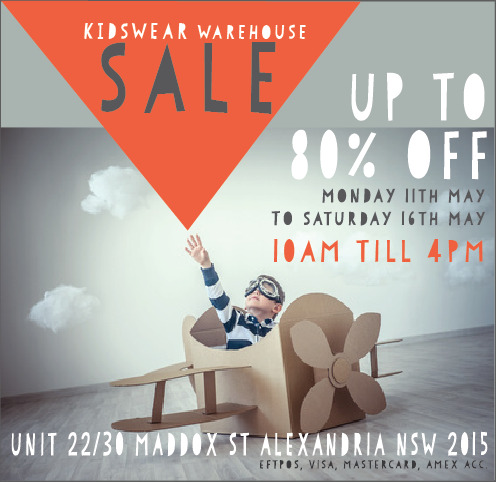 Commencing Monday May 11th, Winter Designer Kidswear Warehouse Sale. Ages 0-10. Up to 80% off RRP and priced to clear. Babieswear, t-shirts,sweaters,jodhpurs,pants, leggings, dresses, sleepwear and robes. Designed in Australia. Limited stock available so be Quick!